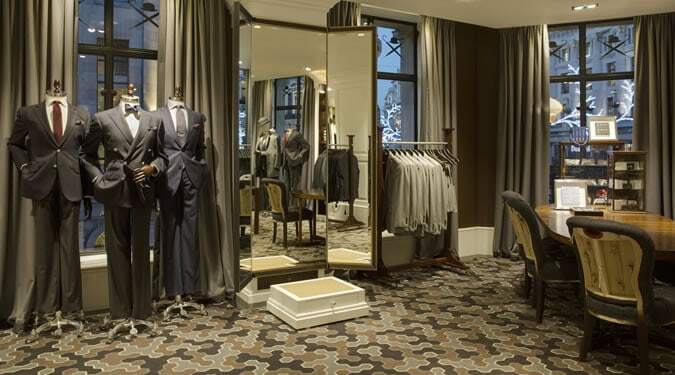 London’s Regent Street has welcomed the arrival of British label Hackett’s new flagship store. The luxury menswear label previously had a standalone store on the street, but has now relocated to numbers 193-197. The new location is vast: 830 sq. metres spread out over three storeys with the same luxurious feel and attention to detail the brand puts in its clothes mirrored in the décor and layout of the store. Large shop windows will showcase their latest collection, and will constantly be updated to reflect the current season and Hackett’s visual campaigns. An interactive sound system and digital screens will bring to life many of Hackett’s sporting partnerships and activities throughout the store. 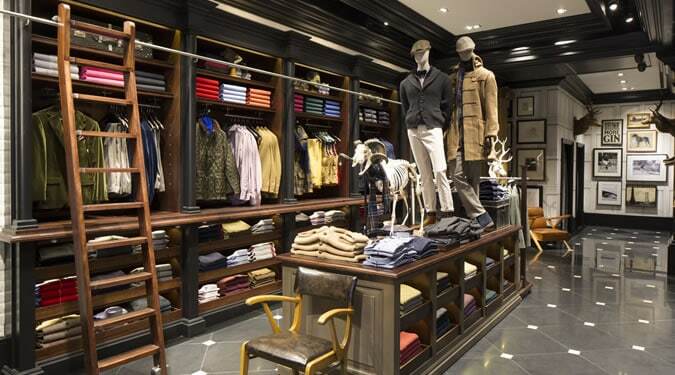 On the ground floor you will find Hackett’s casual wear collections. The space is large, allowing shoppers and browsers plenty of room to explore. The lower ground is home to kids wear. A large, decorative tree that will be themed and change with the seasons is central to the children’s section. This interactive play area is particular godsend for those dads among you, giving you the opportunity to keep the kids entertained for a bit whilst you shop. The store features artwork displayed throughout, with timeless Hackett ‘Mr Classic’ images, contemporary oils, prints, lithographs and architectural drawings all on show. Mid-century furniture and antique pieces only add to the store’s character and charm. The first floor houses Hackett’s formal wear and Mayfair collections. In addition, there is a dedicated accessories room, a first for the UK. An on site workshop even allows you to emboss your accessory purchases with monograms or personal messages, making each piece unique to you or the perfect present for a loved one. If you fancy a tipple mid shop, no worries, the store features a stylish bar in association with Beefeater 24 Gin. Central to the store and its most dramatic feature is the staircase; an impressive architectural construction with an industrial feel. The stairs are built using laser-cut and pressed steel, with ‘Hackett London’ etched onto the risers, visible to customers with every step. 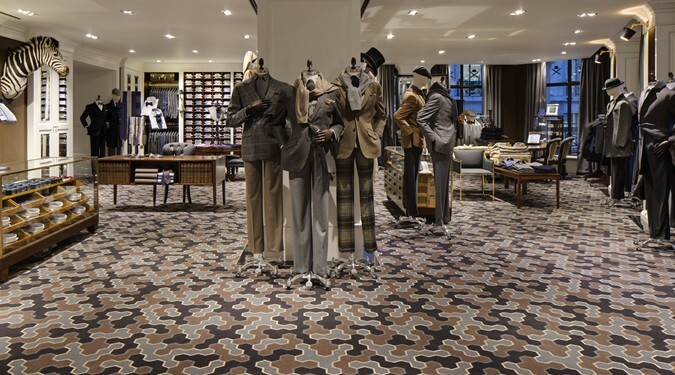 A prime location, vast product selection, luxurious interiors and a bar to boot all make the new Hackett flagship a must-visit shopping destination – we highly recommend you check it out for yourself.